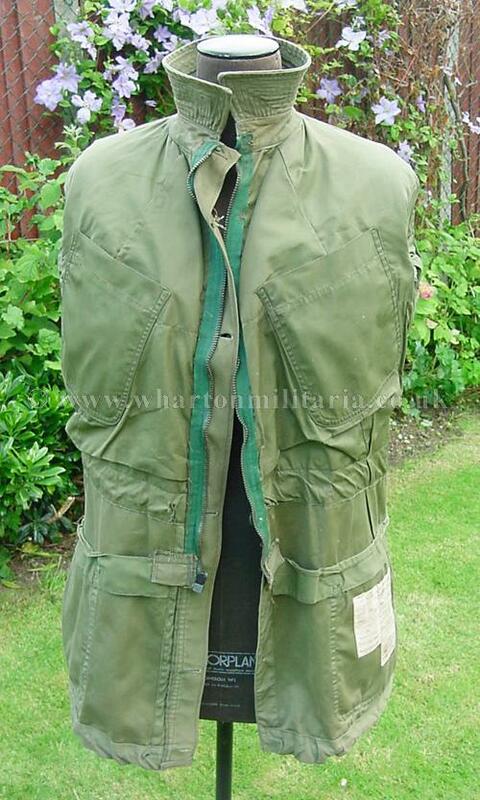 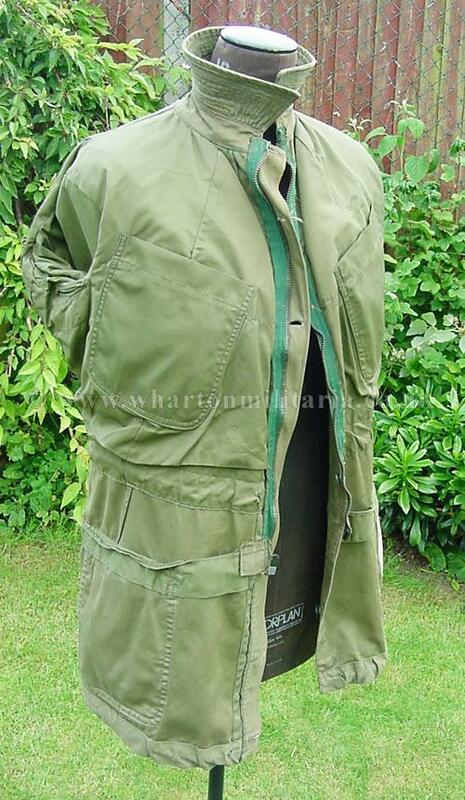 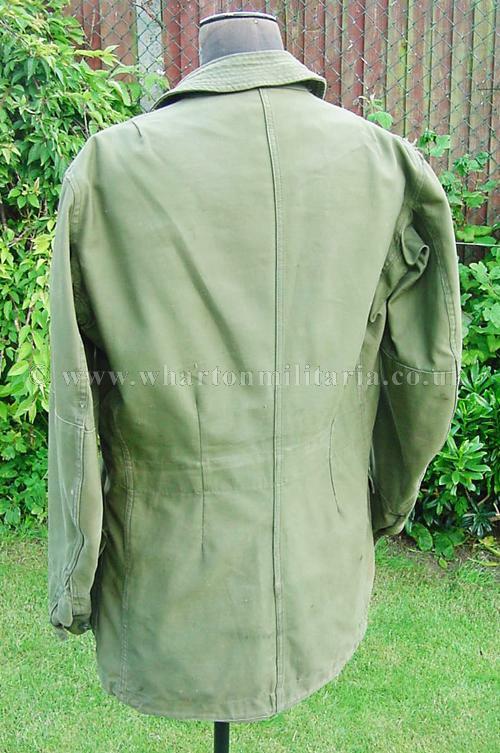 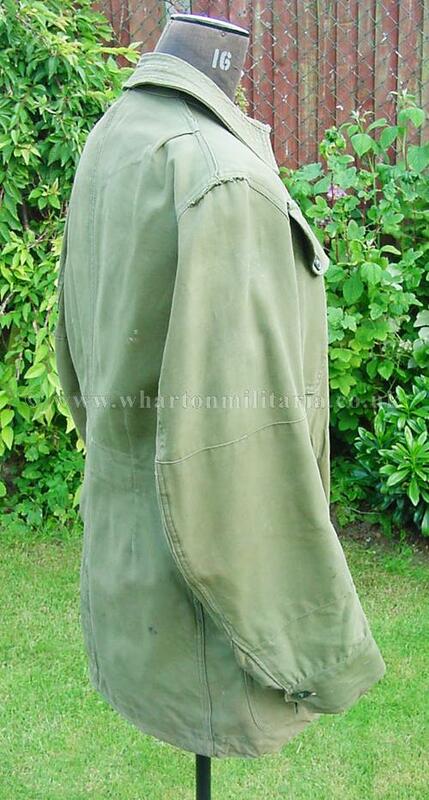 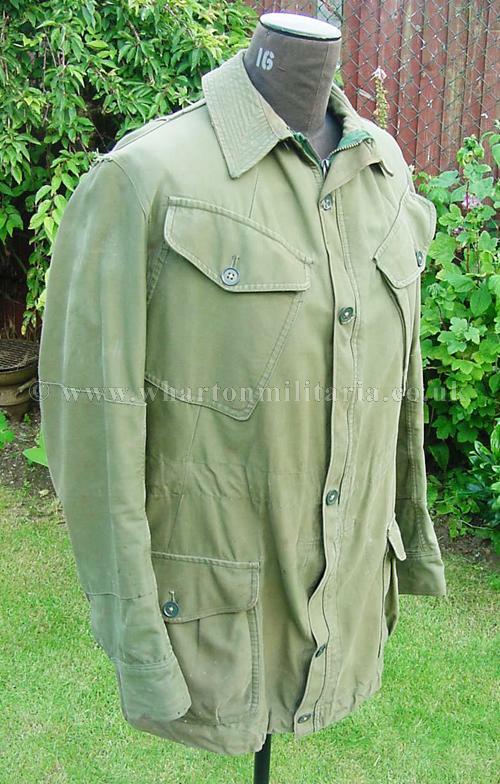 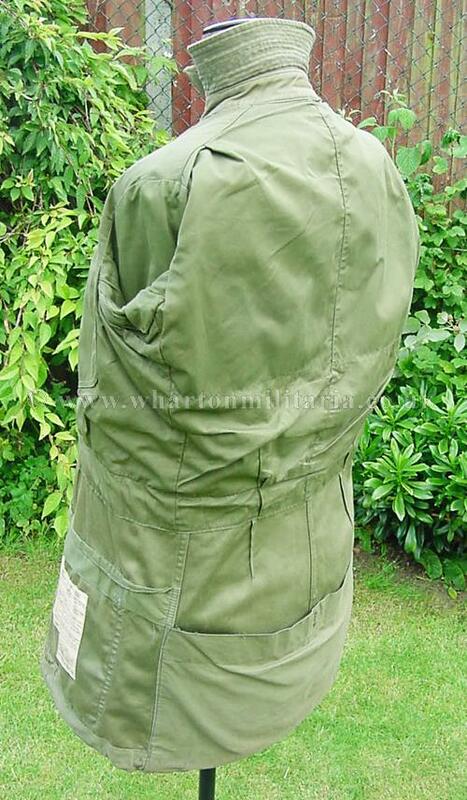 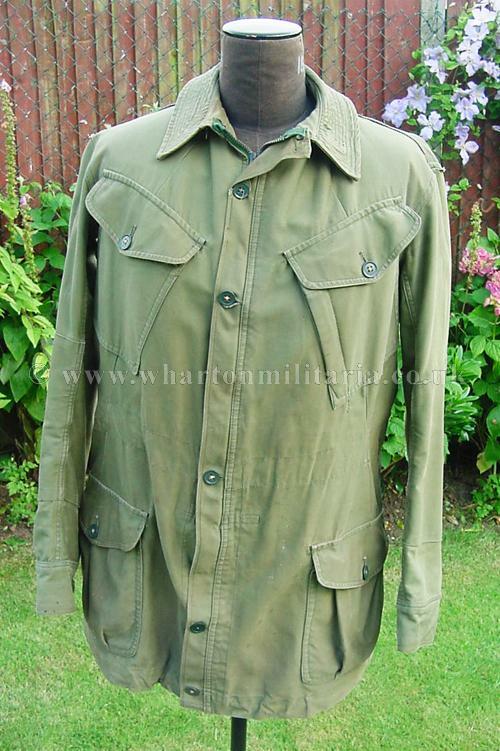 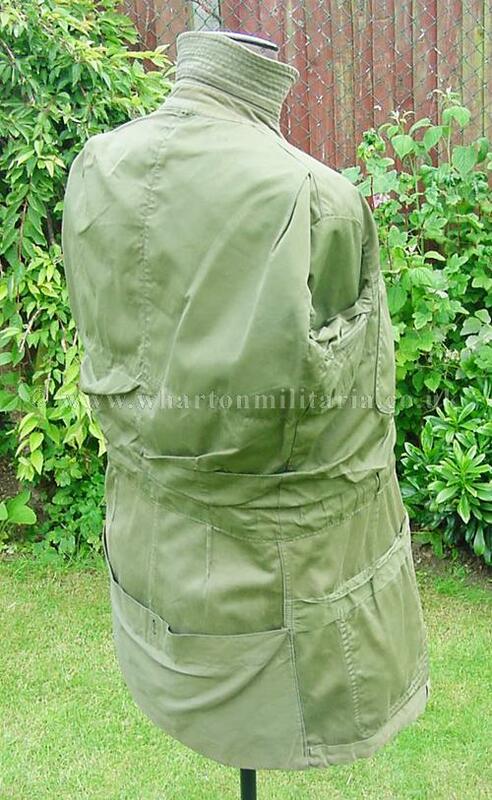 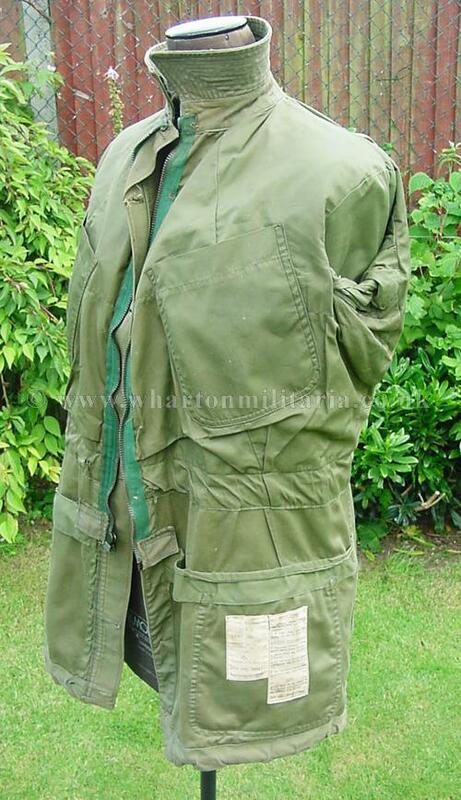 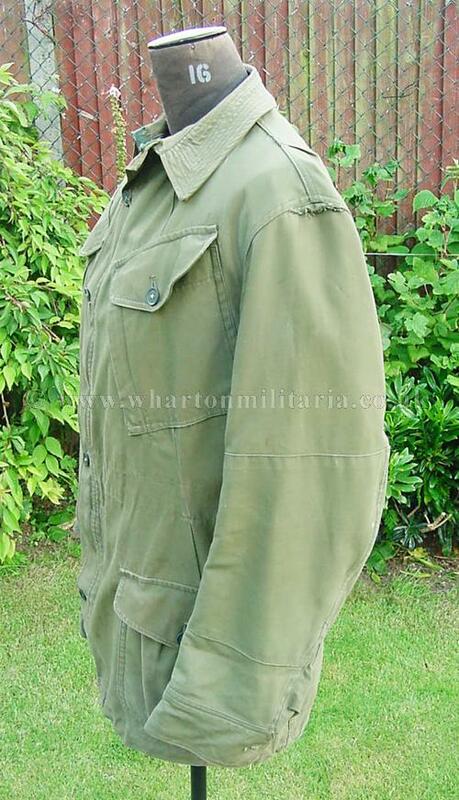 A now scarce British 1960 pattern OG (Olive Green) combat smock made by Windsmoor (MACC) Ltd, dated 1963, in absolutely excellent condition, favouroured by the SAS these smocks have always been difficult to obtain, even in the 60s. 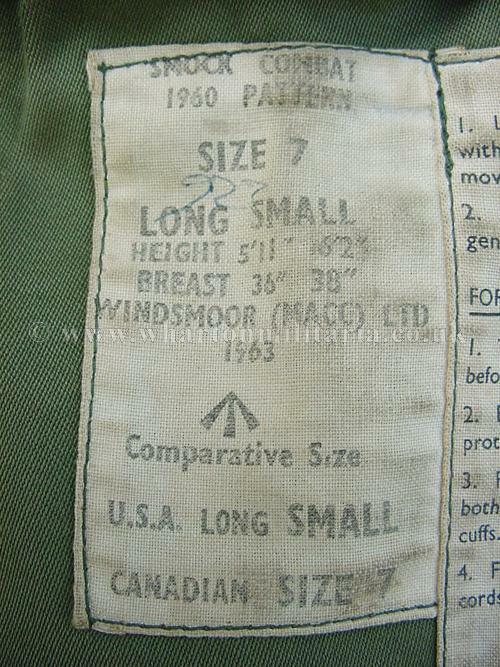 Measurements are across the shoulders 19 inches, chest approx 38-40 inches, collar to hem drop 34 inches and arm length 25-26 inches. 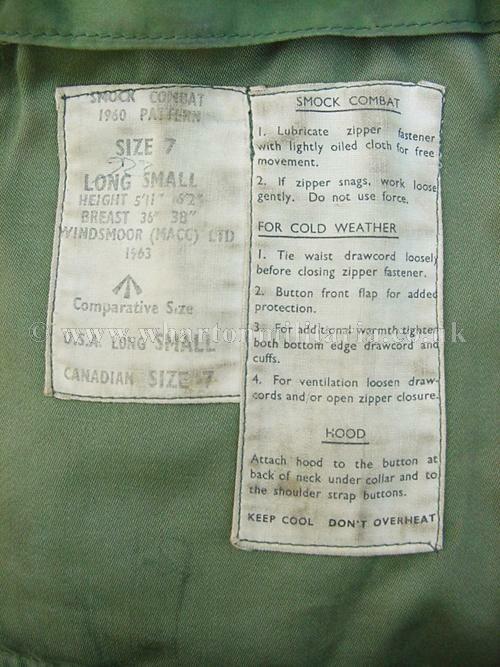 A scarce smock for the collector to find.